Every Monday after second bell the utsava vigraha is brought to the mantapa for ‘Chaturdasa kalasa visesha puja’ i.e. 14 kalasas. After seeking the permission of Sri Malayappa Swami, ankurarpana and punyaha vachanam is rendered by archakas. 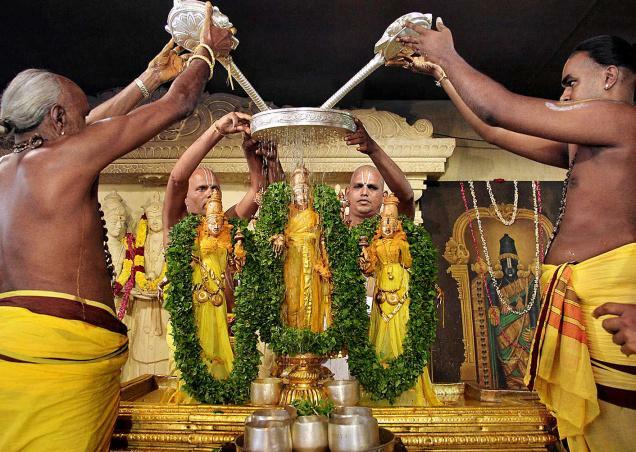 As Panchasukatas-Sri,Bhu, Nila, Purusha and Narayana Suktas are recited, Tirumanjanam is performed to the utsava murtis. Seven vessels out of fourteen vessels will have gingerly oil, Milk, Curd, Ghee, Akshatas (holy grains of rice), Darbha and Panchagavya. The remaining seven vessels contain Sudhodaka(Pure Water). Abhisheka Harati is offered to mark the culmination of the seva. Purnahuti is offered to mark the conclusion of the homa. Naivedya is offered to God. The arjita Seva ticket holders who took part in this seva are presented with vastra bahumanam. 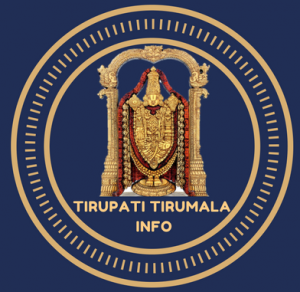 The Visesha Pooja was started by TTD on April 8, 1991 and then after it became as Arjitha Seva. Devotees should gather at Supadham . Seva Will be performed only on Monday. Visesha Pooja Seva will be performed from 05:30 – 06:00 AM. Devotees should gather one hour before the Seva time at Supadham. Visesha Pooja Seva can be booked online(Subject to availability). For any info required on Visesha Pooja Seva, please leave your comments below. We will get back to you at the earliest. Once pooja for utsava vigraha is completed, seva ticket holders will be allowed for general darshana or is there any seperate Q for Visesha pooja ticket holders?